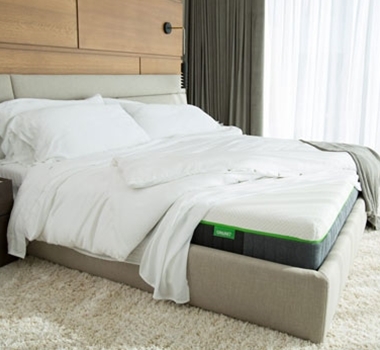 The comfier the bed, the deeper you sleep, and spending a third of our lifetime sleeping demands a world-class mattress to help you maintain an active, healthy lifestyle. The Cariloha Mattress is dreamy soft and optimally comfortable, as it is made of heavenly plush viscose from bamboo. This mattress is wonderful at relieving pressure since it adapts to your body shape, alleviating pressure off the body’s main contour points. Naturally breathable and moisture wicking, with Flex-Flow™ base foam to improve airflow between you and the mattress to help you sleep cooler.